With a day-old installation, I'm up to 102 MB, and have seen upwards of 125 MB in the past. Stock Galaxy Nexus. I use ABP on different dsevices. One is the Minix X5 Neo, which is online 24/7 via Ethernet connection. After some days (a week or so) I have a memory footprint of >600MB (no joke, before posting I double checked that by killing the process and restarting ABP and wait again some days). Since I see a footprint ov around 35MB right after ABP starts (which is already the biggest footprint of all my apps I use anywhere), this is surely some meory leak. On the moset devices which have lower memory ABP is absolutely useless, since it renders the devices *dead* with it's memory consumption. I like ABP a lot and really want to use it on all my devices, so please fix this. For what does ABP need so much memory? I am not sure they can fix it, its just how the app is. On my pc adblock plus works great in firefox however thats only if you ignore the ram usage which on my rig amounts to 100s of megs of ram. adblock plus is very effective at what it does, its the only adbocker I have thats capable of blocking ads in flash videos but it seems the method required to do this is ram hungry. The IE version of firefox doesnt seem so ram hungry tho but I think thats due to better IE resource managent. So the way I see it if you use ABP you have to accept higher ram usage, its part and parcel of the app. The problem still exists, I also have 70mb+ constantly used... Showing the ads would use less RAM? Can you give us a new status / update? So how about the first 50 entries from easylist, 30 from easyprivacy + 3 from antiadblock killer - with a rough estimation it should be enough for 90-95% of the ads with only a tiny portion of the orginal blocklist which of course consumes a lot of RAM. Im using ADP at the desktop for years, so my ad statistics are pretty stable and from 50000 elements only some are useful (most are not, at least for me and im not willing to surrend humongous amounts of RAM for those). I cut it down from 51.191 elements (only 1 list) to 615 (multiple lists). To figure out what i really need for my usage i looked at the desktop version of my ADP and sorted by the hitcounter. Im using it for years so the statistic works out really well, its much more than only exponentially decaying => few elements do all the work. Those are the useful ones to save RAM (many hits, few entries ) and from them we get out the juice!! Right click on the filter => show filter (ctrl+r) and then sort the list descending for number of hits. Paste all those elements in it and say at the share/teilen button to "do more/mehr" => Target/Ziel: different / andere => Test the link / Link testen. There we are: our list is online. 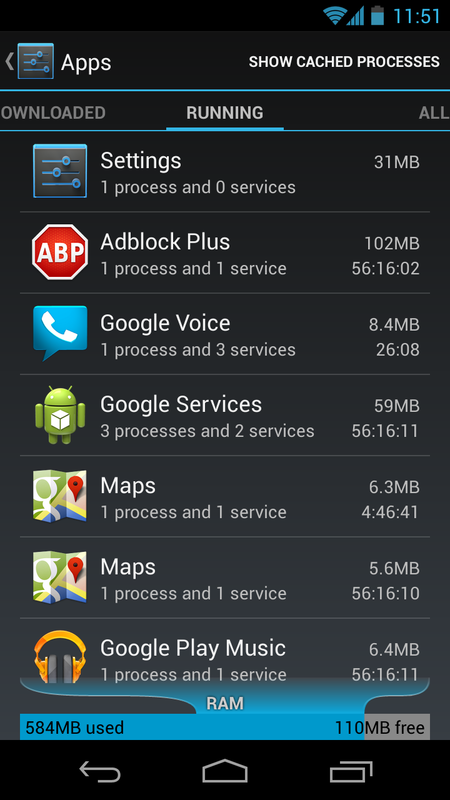 With our phone we navigate to "/data/data/org.adblockplus.android/files"